Collect pressure pattern from users feet at various points & transfer the same to user’s mobile/PC. 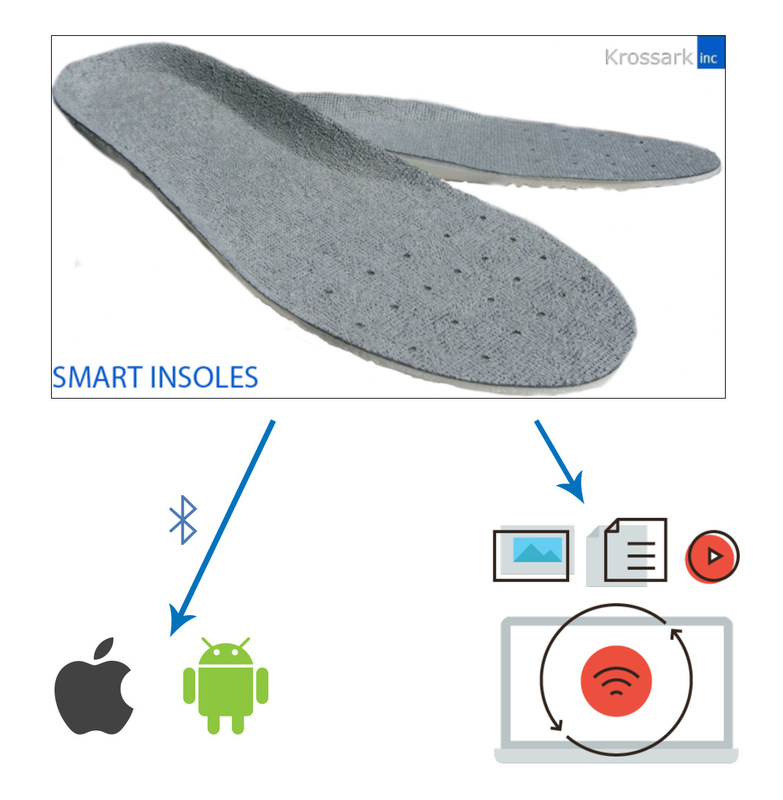 Insole / Inlay will have pressure sensor & electronics to collect the data from these sensors. Rechargeable battery with different capacity based on use case will be deployed. Built in memory to store data incase BT based transfer is not available. Provision to add temperature, location, position, orientation sensors based on use case and application. Project & identify abnormal walking pattern. Help patient to visualize and view his walking pattern. Assist doctors in decision making for custom shoes to correct abnormal behaviour. Abnormal heat pattern will help detect and identify feet ulcer. Athletics - Performance analysis & improvement for athletics – landing & takeoff pattern visualization. Golf, weight lifting - Various strokes have different foot patterns. Coach & performer can visually study and compare foot patterns to master techniques. Racing – fatigue detection & pattern recognition for performance improvement. Live data viewing in smart phone feasible. GSM based communication to send direct alert to registered people on accident. GPS based position identification for monitoring elderly people and kids.